PAGASA was invited as an observer at the Senate Committee on Trade & Commerce, Committee on Economic Affairs and Special Oversight Committee on Eco. Affairs’ Lecture Forum: “Understanding Antitrust.” At the podium is Atty. Lorna P. Kapunan with her critique on existing and fragmented legislations on antitrust. 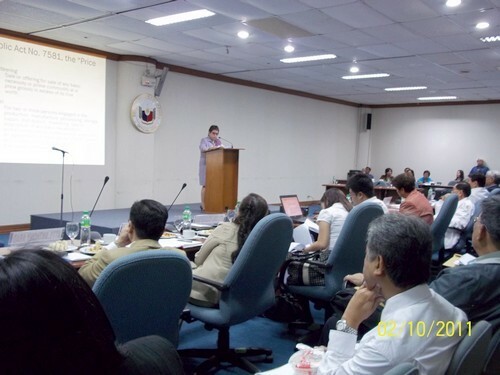 Other presenters were DTI Usec. Zenaida C. Maglaya and Ateneo’s Atty. Anthony Abad. The forum was headed by Senate Pres. Juan Ponce Enrile and Senator Manuel Villar.